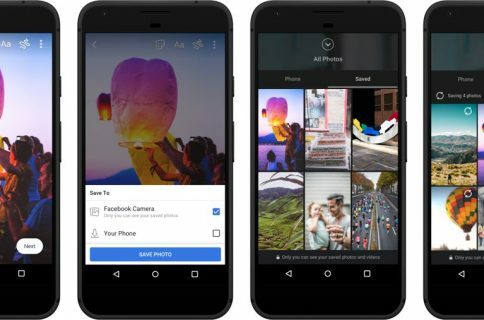 Facebook yesterday announced a new imaging feature which takes advantage of depth information between the foreground subject and the background to bring simulated 3D perspective to your Portrait mode photos, creating a feeling similar to iOS’s parallax effect where your Home screen wallpaper moves or shifts slightly as you tilt your iPhone. 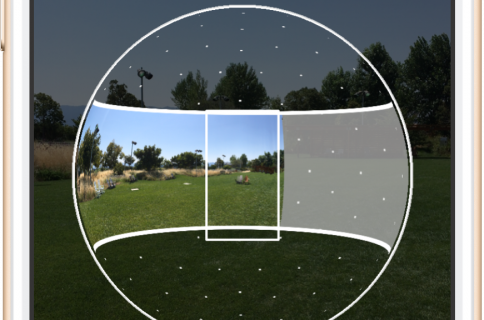 Whether it’s a shot of your pet, your friends or a beautiful spot from your latest vacation, you just take a photo in Portrait mode using your compatible dual-lens smartphone, then share as a 3D photo on Facebook where you can scroll, pan and tilt to see the photo in realistic 3D–like you’re looking through a window. 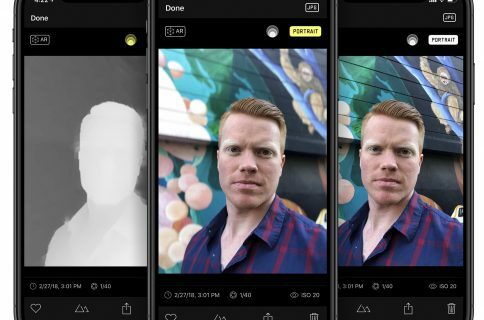 To upload your own 3D photo, start a new post on Facebook.com or in the app, then choose a new 3D photo option or, if you don’t see it, tap the three dots to reveal additional options. Watch Facebook’s video embedded below to see 3D photos in action. You can also experience this pretty cool 3D-like effect in both your News Feed and virtual reality by using the Oculus Browser on Oculus Go or Firefox on Oculus Rift. This is a staggered release so please check back a few days later if the feature is currently unavailable in your country. 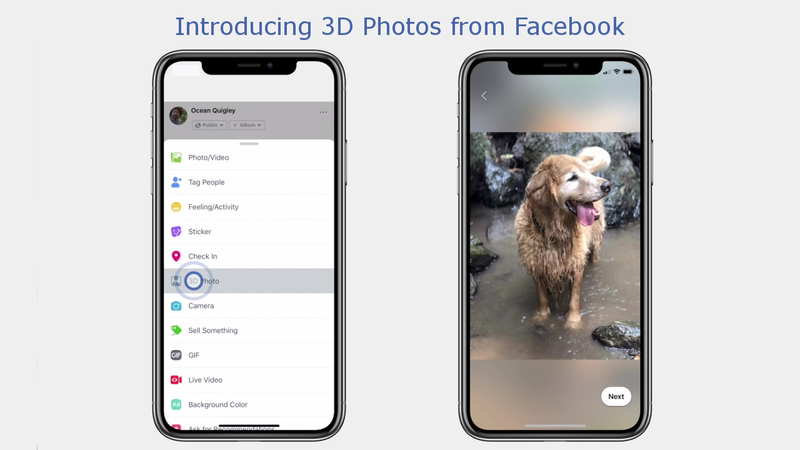 All users can see 3D photos in News Feed and VR starting today, but the ability to create and share 3D photos is being gradually released to everyone in the coming weeks.